Scientists keep finding more similarities between humans and chimps. Actually, scientists are finding the opposite. Only as recently as June 2007 an article in Science dispelled the long-held myth of 99% genetic similarity between humans and chimps. Svante Paabo, a renowned evolutionary geneticist, stated, ‘In the end, it’s a political and social and cultural thing about how we see our differences.’—see Another evolutionary truth now conceded to be myth. For the evolutionist, it appears to be a political, social, and cultural bias that leads them to establish a close relationship between humans and chimps that may in fact not exist. They share most of our genes, they seem to be able to handle tools, and they grasp some English pretty well, too. For years, chimpanzees were considered to be only 1% genetically dissimilar to humans. A recent gene splicing study revealed a 6–8% difference.2 A 2003 study revealed a 13% difference in our respective immune systems, and another study revealed a 17% difference in gene expression in our cerebral cortexes—see Another evolutionary truth now conceded to be myth. Better genetic technology and increasing knowledge of the critical function of non coding regions (formerly referred to as ‘Junk DNA’) appear to be revealing a trend. The more we study, the more different we are becoming. This is troubling for evolutionary predictions. For the evolutionist, it appears to be a political, social, and cultural bias that leads them to establish a close relationship between humans and chimps that may in fact not exist. Chimpanzees, like most other animals, are able to successfully communicate with one another. Some chimpanzees have been able to learn and utilize sign language through many hours of intense linguistic training under human instructors. It is therefore no surprise that the language area of a chimpanzee’s brain demonstrates measurable neurological activity when engaging in basic communication activities. We would encourage similar testing in the linguistic center of bird brains as well, since some birds have actually demonstrated a greater mastery of human language than chimpanzees—see Bird-brain matches chimps and Petulant parrot proves a point. Taglialatela and his colleagues used a PET scan to image activity in the brains of three chimps after doing two tasks. In one, the chimps asked for food by gesturing and vocalizing—making grunts and other noises. In another they passed rocks out of their cages in exchange for food, as they had been taught to do before. The scientists found that Broca's area was activated in the chimps' brains after making gestures and vocalizing, but not after the rock task, signaling that this brain region is particularly tied to communication. The finding, reported online Feb. 28 in the journal Current Biology, narrows the gap between humans and chimpanzees a little bit more. In the experimental sense, this is good science. The PET scan measured brain activity in a linguistically oriented task that researchers were able to directly observe. Again, we should strongly consider applying this technique to a variety of birds and other mammals who express a high degree of intelligence and behavioral compatibility with humans. Then, we would have a much greater data pool to draw more comprehensive scientific conclusions. However, the finding does little to narrow the gap between humans and chimpanzees. Consider what chimpanzees are able to achieve with their language skills compared to humans. Humans are able to utilize their linguistic capabilities to build high tech civilizations, produce masterful works of art and music, write books, and teach animals. Chimpanzees don’t build high tech civilizations, produce masterful works of art and music, write books, or teach humans. Taglialatela is applying a strong philosophical interpretation that bears little semblance to scientific reality. If chimpanzees studied the universe, taught courses on logic, performed elaborate religious rituals, built zoos, tamed a variety of wild beasts, wrote literary masterpieces, taught their offspring objective moral values, and sent rockets to the moon, then evolutionists would have a stronger case. Also, many human beings with very small brains are still exponentially more intelligent than chimpanzees. Human beings demonstrate a far greater intellectual, moral, and spiritual capacity whether their brains are small or large. These verifiable differences don’t require expert scientific knowledge to discern. He [Taglialatela] said we share many profound likenesses with our closest animal relations. They have been shown to possess remarkable language capacities, to have the ability to make and use tools and even to learn behaviors from other members of their community—all traits once thought to be the hallmarks of humanity. One could make a strong case that chimpanzee intelligence doesn’t even stand out in the animal world. Several parrots have displayed more developed linguistic capacities. A number of animals such as elephants, dolphins, woodpecker finches, and otters make and use tools—see Primates spearing primates. New Caledonian crows are actually more innovative in their tool making abilities than chimpanzees. Elephants display more a human-like emotional capacity, despite a much smaller relative brain size than chimpanzees—see Jumbo Minds. Pigs have performed better in some animal intelligence tests than chimpanzees—see Decoding the dogma of DNA similarity. Even fish have demonstrated a level of intelligence comparable to that of the great apes—see Fish challenge misconceptions. Yet, ultimately, it is humanity that studies, researches, and masters these magnificent creatures, not the other way around. Chimps have been trained to use computer touch screens to communicate with humans and can understand many words of spoken English. They can also solve basic puzzles, sequence numbers in order, and, in one surprising study, beat college students on tests of short-term memory. This is a critical point. Chimpanzees receive countless hours of human instruction to achieve these feats. Chimpanzees are not creating logic and reasoning tests for humans, building computer programs, or teaching human beings mathematical and memory skills. So what does separate us from apes? 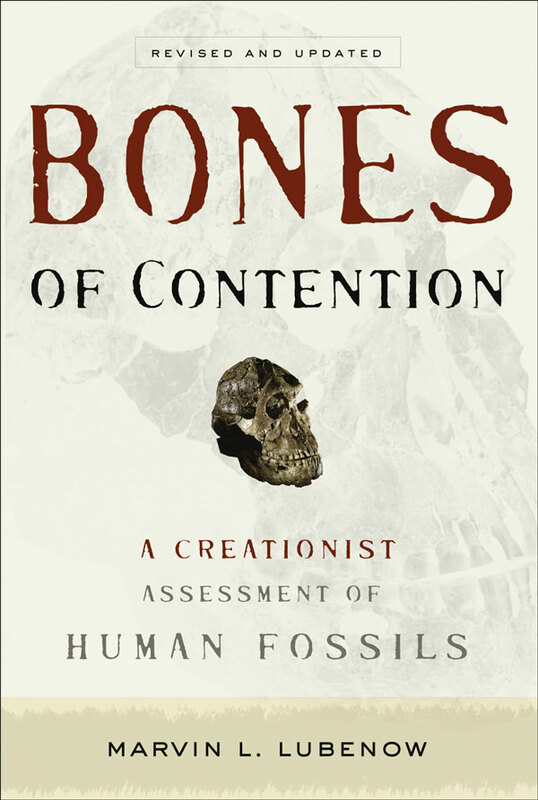 ... ‘There's some fairly good work with regards to chimps making and using tools in the wild, but of course it doesn't really compare to operating an MRI scanner.’ … ‘Their English comprehension has been shown to be very sophisticated, but they could never have a conversation like we're having right now,’ he said. ‘And recursiveness—the ability to talk about language—is something I think is beyond the ability of chimpanzees.’ Taglialatela also said chimps do not have the self-control humans do. Where people often censor their words and actions to fit a social situation, chimps generally act on impulse. If they are hungry, they will ask for food; if they are angry at another chimp, they might take a swat at him. This is getting back to good, honest science. As the biblical creation model predicts, humans and chimpanzees are qualitatively different in their intellectual, linguistic, and moral capacities. This is consistent with the biblical description that human beings are the only creation made in the image of God. On the contrary, the observational evidence seems to indicate a significant number of critical differences between chimpanzees and humans. While we are very different from chimpanzees, perhaps it is chimpanzees that are not all that different from other animals. 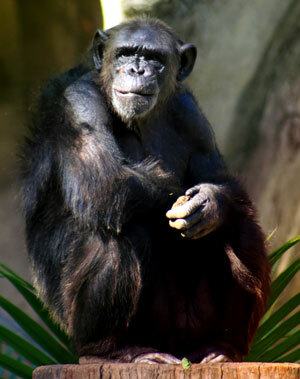 Moskowitz, Clara, What Separates You From Chimps, LiveScience, 28 February 2008. Return to text. Calarco, J.A., et al., Global analysis of alternative splicing differences between humans and chimpanzees, Genes & Development 21:2963–2975, 2007; <genesdev.org/cgi/content/abstract/21/22/2963> Return to text.